Winter Park is a town a little over an hour drive from Denver, Colorado. It’s a gorgeous drive on winding roads with the mountains as your background and even more spectacular after a dusting of snow! A couple friends came in town to visit so we headed for a mountain getaway in Winter Park. 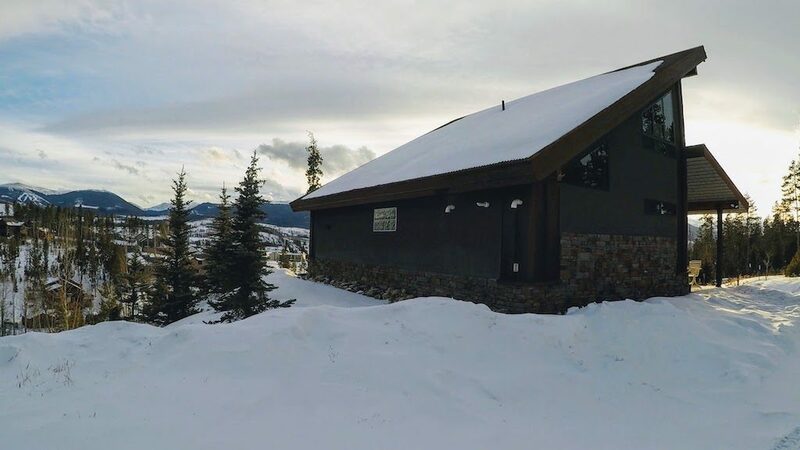 Winter Park Resort has a variety of great lodging options (condos, hotels, townhomes) at the base of the village. Airbnb is a great resource around this area and one we took advantage of. You can find a house with a gorgeous view that’s just down the road from the base village at the resort. This is a great option if you’d like the freedom to cook some of your own meals. Tip: look at places located in Fraser too which is a neighboring town. If you don’t find something you like on Airbnb and want to go something more along that route, check out this page for a list of lodging resources. Coca-Cola Tube Park is located at Winter Park Resort and has 4 snow tubing lanes. It’s $23 per rider for an hour and so much fun! Hint: lane 1 is the fastest. 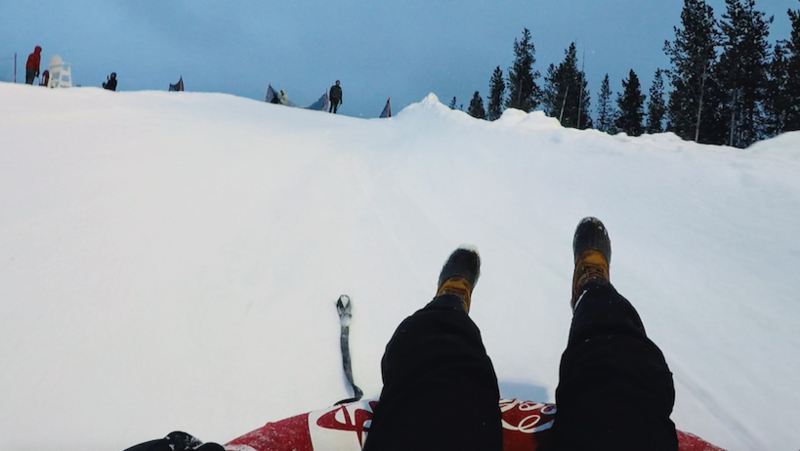 Fraser Tubing Hill is located just outside Winter Park and is exactly how it sounds… a large hill you snow tube down. 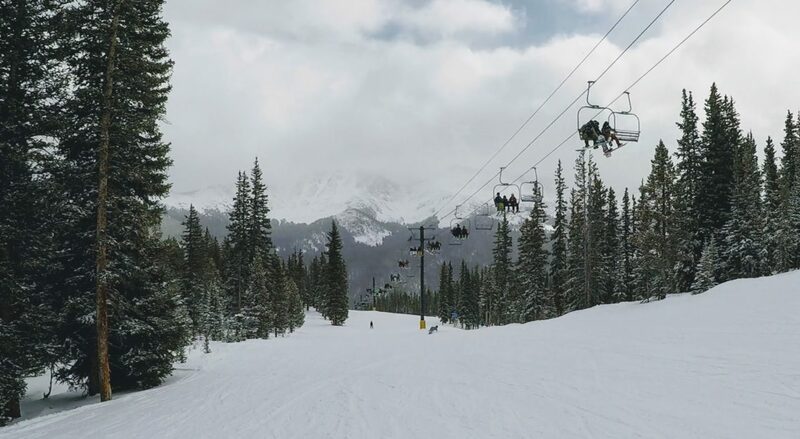 Winter Park Resort has seven territories to ski/board so you’ll have plenty of options! If you can go on a weekday rather than a Saturday or Sunday, you’ll save some time in the lift lines. 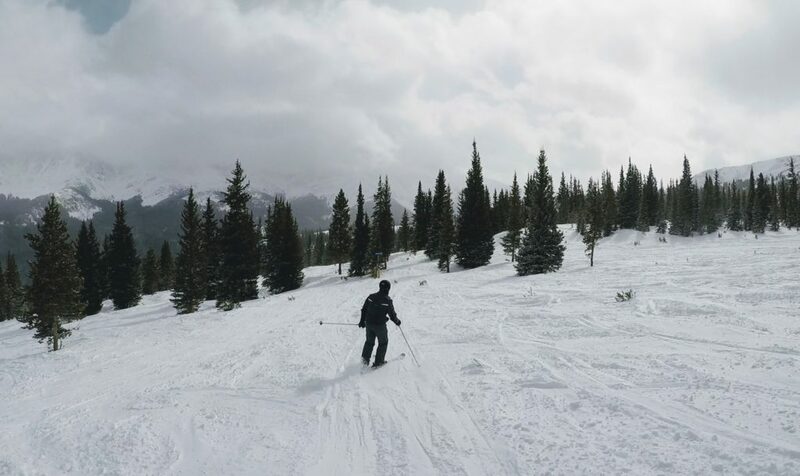 The runs are well groomed and overall just an excellent place to ski for newbies or the expert. My favorite territory to ski is Mary Jane. If you’re up for it, you can even try ski biking! 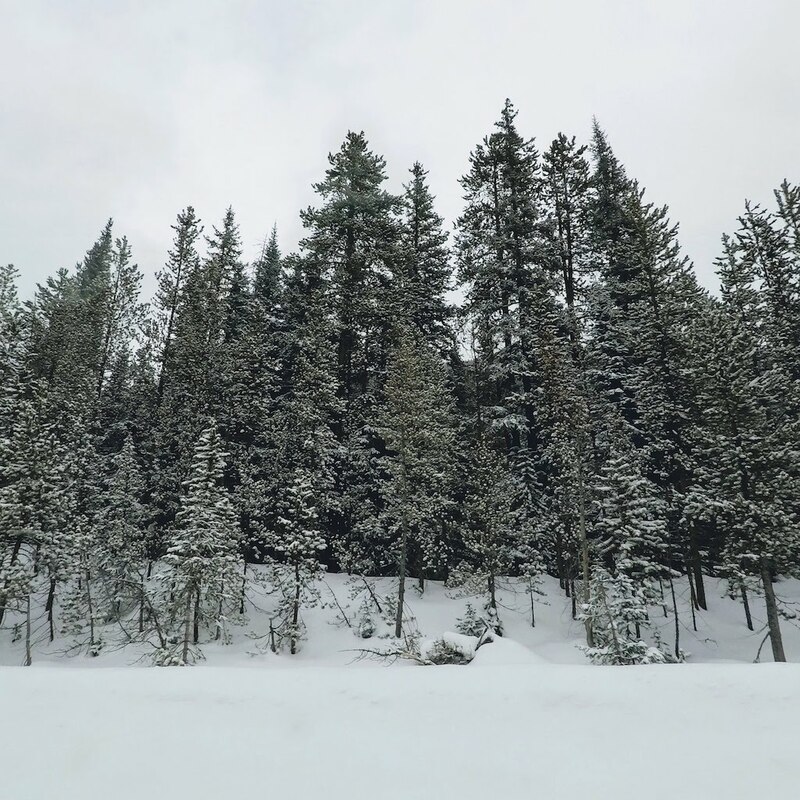 Grand Adventures offers a 2-hour adventure snowmobile tour to the Continental Divide. 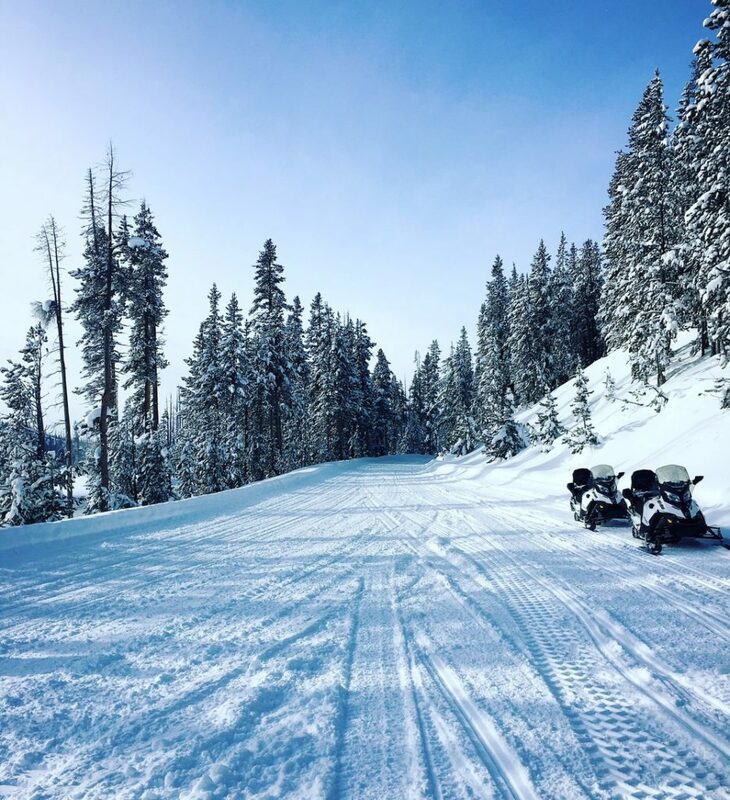 If you’ve never been snowmobiling, it’s definitely something you need to try! They do guided and unguided tours and you can ride on your own snowmobile or go tandem. Dress warm and in layers! 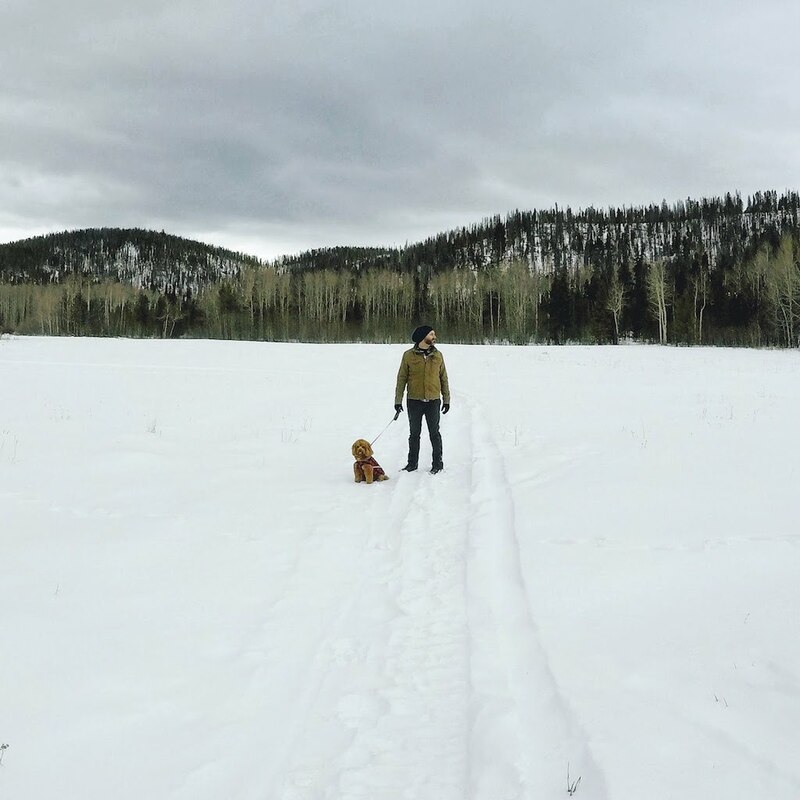 Snowshoeing is hiking but with a pair of snowshoes strapped over your boots to make it easier so you don’t sink into the snow with every step. There are plenty of trails around the area too. 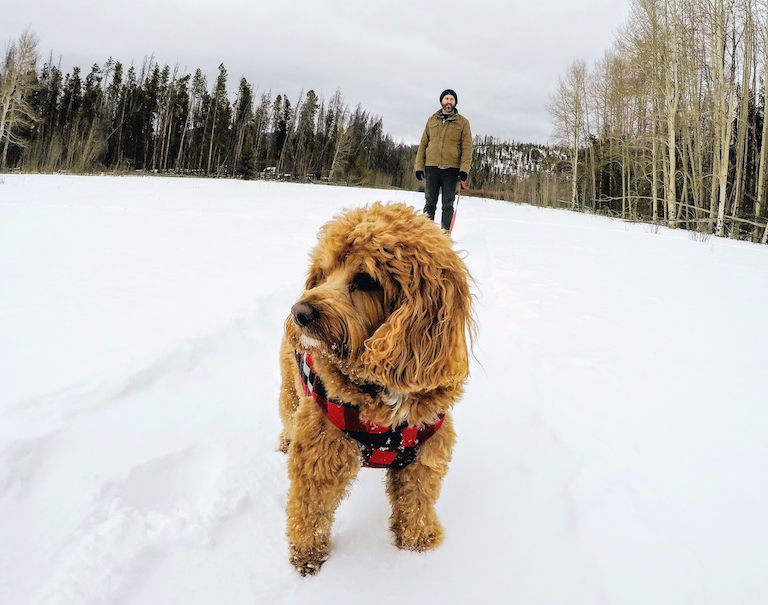 If you don’t have your own snowshoes, you can rent them at the Nordic center and most ski shops. Find hiking trails on alltrails.com and take your snowshoes with you or stop by the information center in downtown Winter Park to pick up your own trail map. You can find more info here too. Fat tire biking is a mountain bike with fat tires that have tread made for riding on snow. 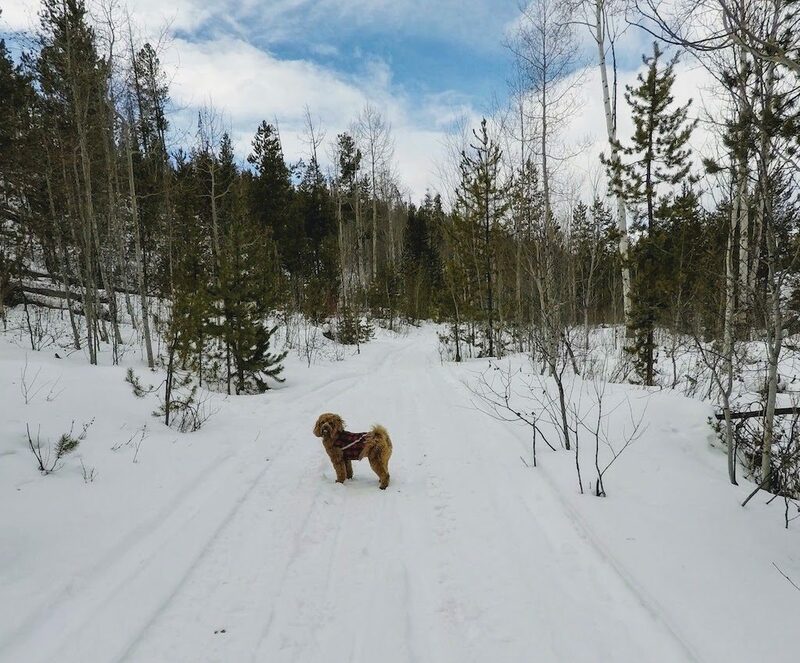 There are literally hundreds of miles of trails and roads to ride on around Winter Park! You can find out where to rent bikes and where to ride them here. 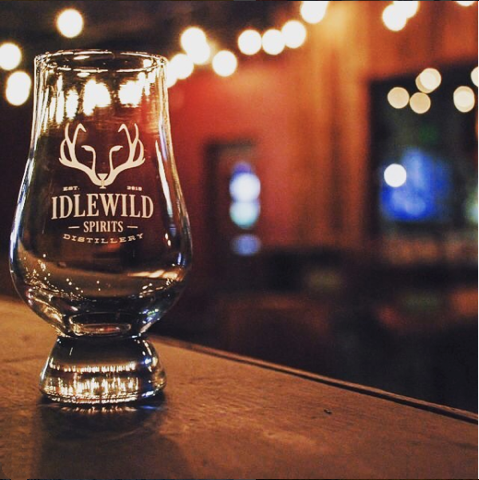 Idlewild: Grab dinner and drinks here after a long day of winter activities. It’s a cozy, comfortable place that’s on the smaller side so go early or late and definitely try the Brussels sprouts! I’m also a sucker for their cool logo. Goodys Mountain Creperie: Located in the Winter Park village, stop by here after skiing and get a delicious crepe and warm cocktail. We had a great time in Winter Park and will definitely be back in the summer to check out the alpine slide and all of the summer activities. 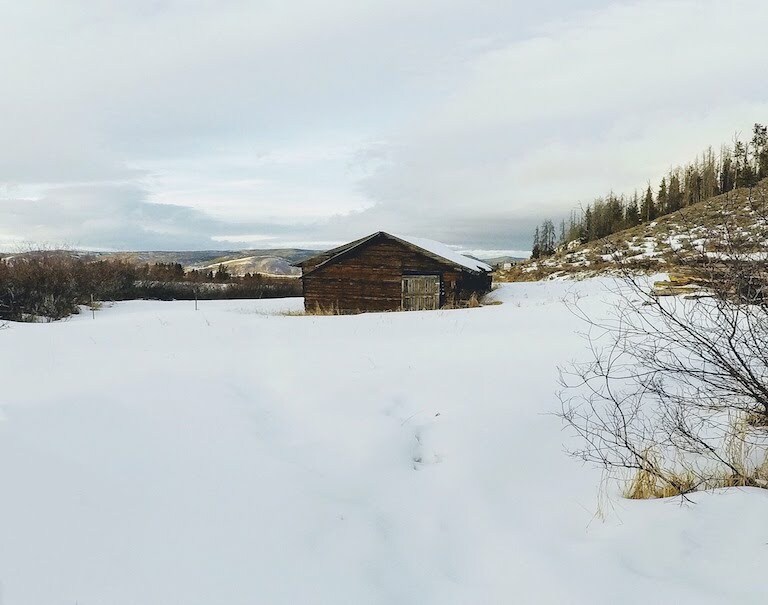 There’s so much to do here no matter the season! If you have any questions, let me know.